Santa Fe Plumbing, Heating & Cooling | Paul’s Plumbing & Heating, Inc. When You Call Us, We’ll Be There Before You Know It! When you need plumbing, heating, and cooling assistance, our team makes it simple. Enlist the services of a certified technician who can do it all from Paul’s Plumbing & Heating, Inc. We provide prompt and affordable plumbing and HVAC services in Santa Fe and beyond. When you need a heating or cooling repair, replacement, installation, or scheduled maintenance, you can trust us to use our extensive knowledge and 40+ years of experience to fully get the job done! We’ve made a name for ourselves through the quality work and business integrity we’ve delivered to our local community. Our skilled technicians are committed to tackling plumbing and HVAC headaches as quick and cost-effectively as possible for our customers. We’re licensed, bonded, and insured to handle all your residential and commercial needs. When it comes to keeping our customers satisfied, we’re pros. Let Paul’s Plumbing & Heating, Inc. get rid of all your plumbing and HVAC headaches! Call (505) 629-4020 today for service. 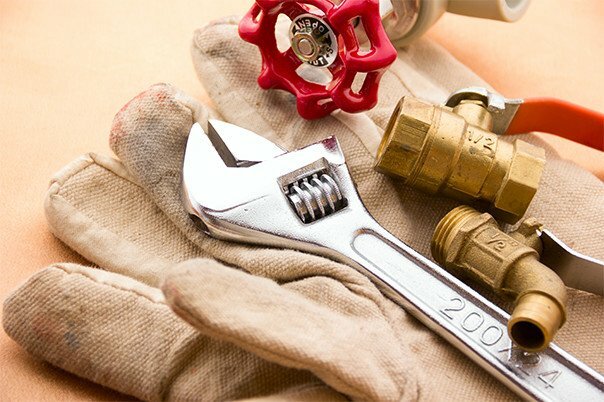 We Are Your Go-To Source for Reliable Plumbing, Heating & Cooling. We're on-call 24/7 to assist you. Contact our team today! When you need assistance for your home or business, call the professionals! There's nothing we can't do when it comes to plumbing, heating, and cooling. Our work is guaranteed to save you loads of time and lots of green. We stand behind the quality of service we provide for our customers. We’re your #1 source for reliable plumbing, heating, and cooling services in Santa Fe. Whether you need a snaked drain, an AC repair or a new heater installation, you can count on Paul’s Plumbing & Heating, Inc. to do a first-rate job the first time. We are on call 24/7 in case you’re in need of emergency assistance. You never know when your equipment might demand a new piece to continue running properly, so we stay prepared to provide you with fast service by keeping most parts in stock. Get your HVAC needs serviced at cut-rate prices! We don’t keep secrets here; our technicians would never get started on a job without giving you a full, detailed breakdown of the costs. Need new equipment? We’ll give you a free estimate before you make your purchase. That way you’ll know exactly what you’re paying for. Paul's Plumbing & Heating, Inc. Mention you found us here!
" Paul’s Plumbing, just wanted to say Thank You for a prompt response to our request. The two technicians that came this morning were experienced, efficient and thorough. Good guys, great service. Will recommend and will call for future service when needed." Marc C.
"Timely, professional service of both HVAC, furnace and Tankless water heater, at a reasonable price. " Mike L.
"WHEN YOU NEED A HONEST COMPANY TO DO YOUR WORK, WHO RESPOND 24/7 WHEN YOU NEED THEM " Dr. Stephen A. "Quality, Customer Service, Timeliness " Terry P.
" I was experiencing issues with my radiant and hot water boiler. I did not want to troubleshoot the old unit, but replace it with a new more efficient one. I called multiple shops and none were able to respond the same day (not even providing a quote the same day!). After a brief conversation over the phone Paul gave me a straightforward quote, based on my description, and he was able to dispatch a crew in matter of half an hour. The crew came to my house and worked tirelessly all day and late into the night to install a new unit, rearranging all the necessary plumbing. I did not expect them to finish the job the same day, but they stayed until 9PM to finish everything so we could get our house warm again. Highly recommend and will rely on next time I have heating/plumbing issues." Mike J.